I had a rough day today with work. 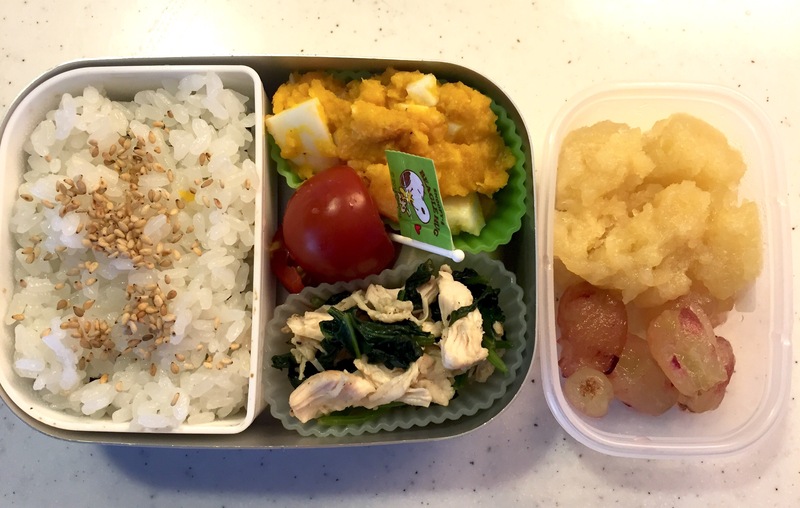 But the bento picture brought me smile. Our daughter couldn’t finish today’s main dish, chicken & spinach, but that seems like too small an issue to deal with.